After a red solo microwave? The Igenix IG2940 features a 20 litre capacity, 800w of power and 5 different power levels. A well built red solo microwave oven. The black labels are a touch difficult to read against the red background - however operating the microwave is pretty easy. Finished in a dark metallic red, the Igenix IG2940 is essentially a small solo microwave, with 5 different power levels. Measuring 50cm by 41cm by 33cm, it provides a moderate 20 litre capacity, complete with 800w of power when on the highest setting. The digital timer is clear to read - unfortunately the black lettering marking each button is a little bit difficult to read against the metallic red body. This is a minor criticism, as the microwave is actually pretty easy to operate. 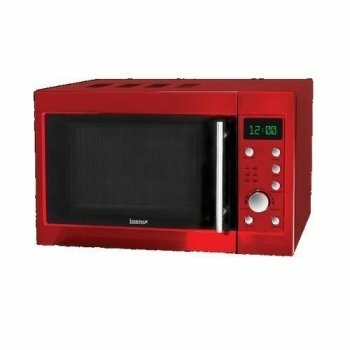 If you're looking for a red microwave, then you could do a lot worse than to consider this model - it looks smart, is well designed and stands out. The unit feels solidly built, and we can't see any issues with reliability with the IG2940. Igenix also manufacture a matching toaster and kettle, which is ideal for those who require a whole new kitchen appliance suite. 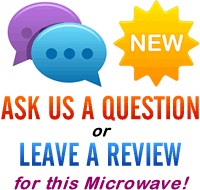 The Igenix IG2940 will be ideal for those looking for a reliable red microwave oven. Works well, and looks good.